Oppo today launched the Oppo R7 and Oppo R7 Plus, two phones that have been repeatedly leaked in the past few weeks. There were a lot of expectations about these smartphones in the tech community, the most prominent of which was the bezelless aspect of the Oppo R7 that had been leaked previously in photos. The leaks so far have been partially right: the Oppo R7 isn’t bezelless, not even close, but the Oppo R7 Plus is, and it looks rather awesome if I do say so myself. The Oppo R7 is the main launch, but the Oppo R7 Plus is much more interesting, so we’ll start with that. The Oppo R7 Plus is a pretty massive phone with a 6 inch AMOLED display with a 1080p resolution, which looks amazing. As you can see from the press photos below, the Oppo R7 Plus does indeed look like a bezelless smartphone and the design of it is rather appealing, especially since smartphone enthusiasts seem to be rather fascinated with the slim, sleek and bezelless look. Although the Oppo R7 and R7 Plus are rather similar in specs, the R7 Plus does have two very important extra features, besides its design: the massive battery measuring 4100 mAh and the fingerprint sensor, which you will find on its back. 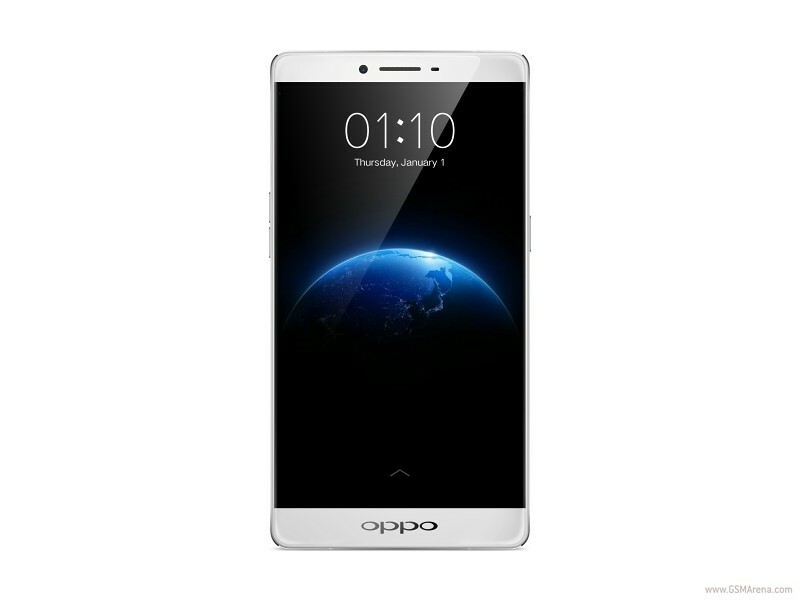 The Oppo R7 comes with a smaller 5 inch AMOLED display that has the same resolution, and it gets a smaller 2320 mAh battery and no fingerprint sensor. The processor is the same on both smartphones, namely a Snapdragon 615 64 bit CPU, backed by 3 GB RAM. 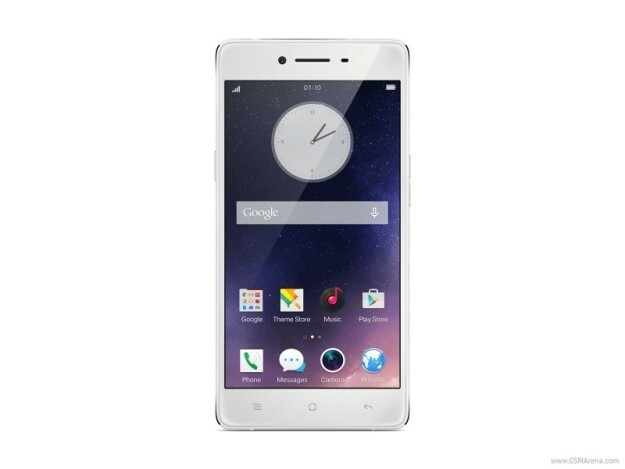 The Oppo R7 has only 16 GB internal storage, while the R7 Plus gets double that amount. Both these phones come with dual SIM card slots, one of which can be used as a microSD slot for your convenience. Both the Oppo R7 and Oppo R7 Plus come with Anroid 5.1 Lollipop on board, so you’ll be getting the latest and greatest in terms of Android software. Oppo does include Color OS 2.1 in the mix, so there will be some bloatware and skinning going on, which you will have to get used if you don’t want to install a custom ROM and root the device. The camera setup is the same on both, with the added benefit of laser autofocus and dual LED flash for the Oppo R7 Plus. On the rear, both phones get a 13 MP camera with Schneider-Kreuznach optics and flash and an 8 MP camera up front. The Oppo R7 price is set at about $400 unlocked, while the stylish Oppo R7 Plus price is $480. Since specs are largely the same with these two phones, the Oppo R7 Plus has a higher price because of the non-conventional bezelless design, slightly better camera and massive battery. The design of the Plus version is what’s most interesting and if users will have to decide between these two, I would definitely recommend the larger version, since the price difference isn’t that big and users would get a whole lot more out of it. Previous Is Microsoft Flow the future of email apps? Next AT&T and DirecTV Merger Coming Soon?